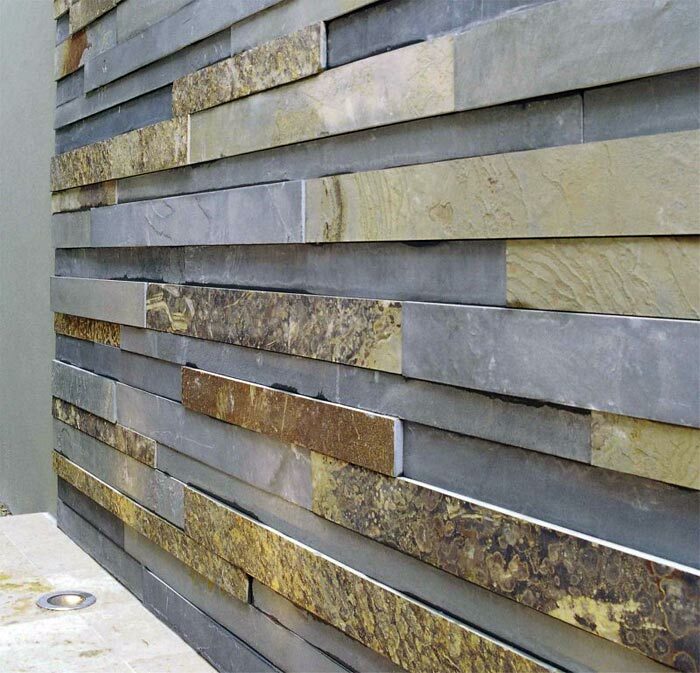 Created by our Agent in Sydney, this product is used as building cladding and walling. Height of pieces 75mm, 100mm, 125mm and 200mm in proportion. Sold by solid face area. Surface appearance would predominantly be of a more textured type, varied tones of blue/grey, fawn and a small amount of rustic colours. Photo courtesy of our reseller, Onsite Supply & Design, Paddington, NSW.